Umbrellas can be a tad boring with their similar design. However, with this innovative umbrella, we finally get to see an umbrella with a genuine distinction. This umbrella is unique on all fronts and shows high-level of creativity. It is classy and has got a premium look. The umbrella is intended to open and close inwards, making it simple to get in and out of the vehicle in the rain. This one of a kind opening strategy likewise traps the water within the overhang, keeping both you and the interior of your vehicle dry. This umbrella is developed with an inventive 'C' shaped handle intended to fit over your arm keeping your hand free while as yet holding the umbrella set up. This form of an umbrella can stand upright without falling, enabling the water to deplete from the covering. Produced using double layered premium grade 190T Pongee with fibreglass ribs, this eight board umbrella is ensured to be a hit. 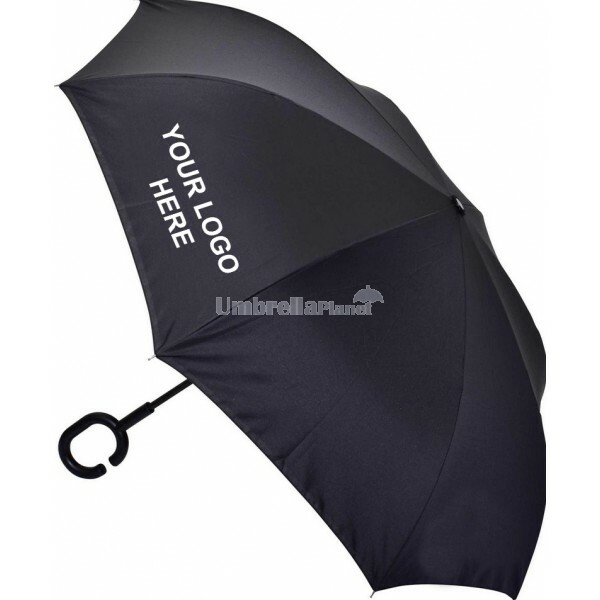 With an option to print your logo on the umbrella, the product is ideal for use in promoting your brand. You can order online and enlist an address that is located in Australia. Delivery takes up to 2 weeks while fats delivery is available upon request at an extra cost. Pricing includes one colour, one position printing. There is a set-up fee of $60 charged. All prices exclude GST, and a price match is available upon request. 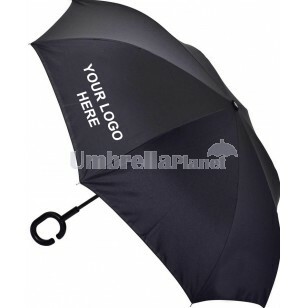 Umbrella Planet is dedicated to giving you fast and secure delivery within Australia. We service all states and territories including; VIC, NSW, ACT, QLD, SA, TAS, NT, and WA. Contact our sales team for exact delivery costs and times to your location.